During this time of year, you’ll usually see bloggers reflect and look back at the past year and predict what will happen in the upcoming year. This year has been a roller coaster for me and my family and we’ve experienced our highest highs and our lowest lows, all in 2013. This is my version of 2013 year in review. While we technically got married in 2012 during a small ceremony on Walton Island in Elgin, IL, we had our big shin-dig in 2013 and our real wedding on September 7th. We had an intimate wedding with about 50 guests. 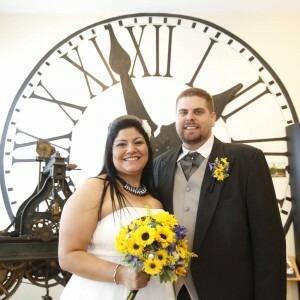 We got married in the Elgin Historical Society & Museum in Elgin, which was awesome! It was unique and different, just like us. We had an awesome photographer and got some amazing pictures. For our reception, we went to Emmett’s Brewery in West Dundee, IL. The reception room came out PERFECT! It looked like it came out of a story book with our history of candy theme, candy bar, centerpieces, everything! We had a few drinks, visited with friends, and danced the night away! It was definitely the happiest day of my life and I couldn’t ask for a better partner than Ana B. Russell! She’s been amazing to me the whole time I’ve known her and has always been there for me through all of my bumps in the road. I can’t wait to grow old with her and see what other experiences life gives us. 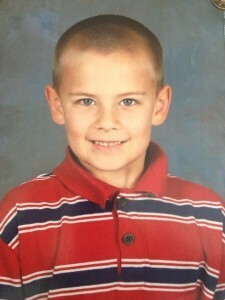 Earlier this month, I lost my six year old son, Bryan Andrew Russell. I’m still trying to cope with this loss, day by day. My whole family suffers the heartache and the pain of losing a child. We will have our good days and our bad. While we’re trying to be in the holiday spirit this year, it is also very hard. There are times that I just want to shut down and go into a cave and hide, but I know that won’t make anything better. We had his memorial services the other week and it still hasn’t become a reality. I want to pickup the phone and call him. I want to buy him presents for Christmas. I want to give him a big hug and tell him how much I love him. But I know I can’t do any of that. I’m still looking for answers from God. I want to know why, but I know I’ll never know the answer to that, at least not until I join him in Heaven. I have many good memories of him and how much he could make everyone laugh and smile. We have his customized urn sitting on a table by a window so he can get light. We have his camo bear, his Pengui, and some fresh flowers next to him. We will also be putting together a huge frame with lots of pictures of him with his family. He is thought about every day by everyone and he will always be greatly missed!